Colshaw Hall is an idyllic, 300-acre country estate. This luxurious wedding venue offers many features for the perfect wedding. The Hall is a resplendent Grade II listed house, nestled in beautifully maintained gardens. Featuring high ceilings, elegant décor, large stone mullioned windows and seven luxury en-suite bedrooms. Civil ceremonies take place in The Stables, a light and elegant ceremony room with leaded windows, oak beams and marble flooring. Romantic wedding breakfasts and evening celebrations are held in the Peel Suite. This magnificent suite has beautiful views of the walled gardens and a stylish bar for guests to relax in. 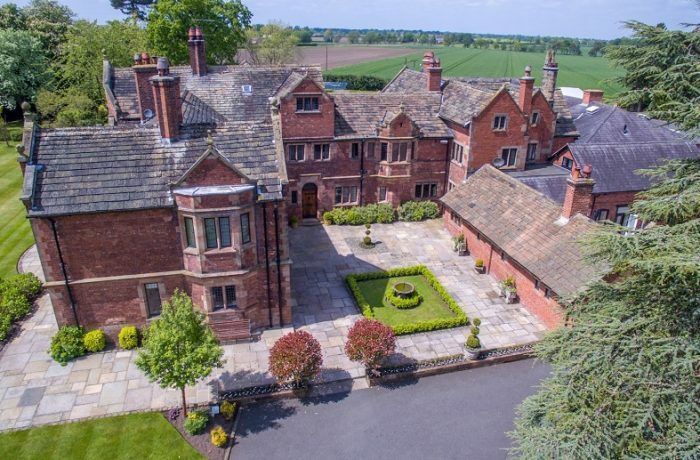 This family-run, exclusive hire estate is situated in the heart of Cheshire, yet is just two miles outside of Knutsford. Stocks Lane, Over Peover, Cheshire, WA16 8TW.